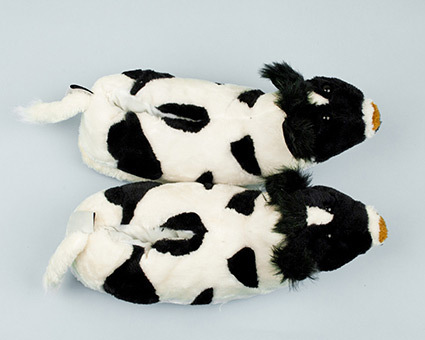 Featuring the classic black and white markings of a Holstein dairy cow, these cow slippers are the perfect foot accessory for any cow enthusiast. 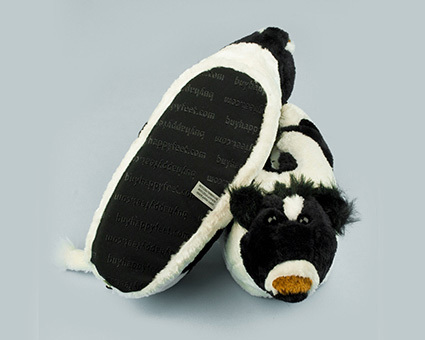 Thick, plush lining keeps your feet cozy, while the brown-tipped nose adds a bit of flair. 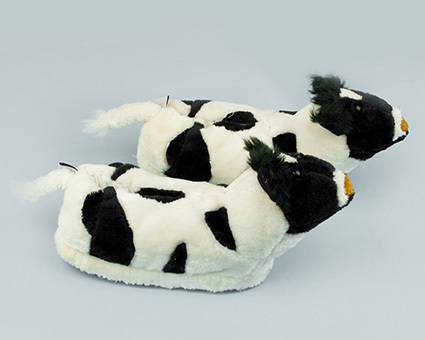 Made from high quality materials and available in five sizes, these are slippers you can milk for years to come. 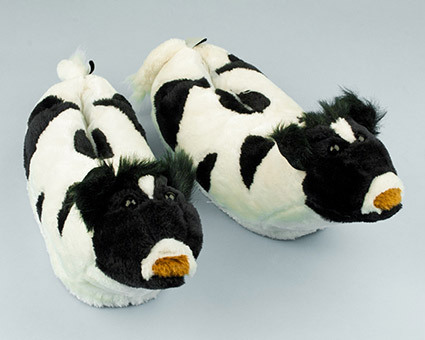 I adore these slippers. They're easy to get on/off, warm in the winter and just plain fun. I live in an apt. building and get fun comments on them whenever I'm wandering about the building.